Affordable, efficient and fun to drive, the 2020 Toyota Yaris Hatchback is a welcome addition to the Toyota family of vehicles. 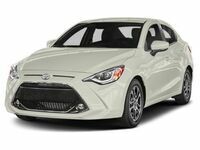 A true modern hatchback that marries efficient performance to a sporty style, the 2020 Toyota Yaris Hatchback near Bangor, ME promises to be a fan favorite when it arrives at Downeast Toyota later this year. Drivers in search of a fun-to-drive hatchback will love what the redesigned Toyota Yaris Hatchback brings to the table. 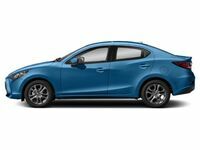 When the 2020 Toyota Yaris Hatchback arrives at Downeast Toyota, it will be available in dual mono-spec trim levels – LE and XLE – that feature a bold style. Redesigned 2020 Toyota Yaris Hatchback entries employ a longer platform, LED headlights, a hexagonal front grille and Daytime Running Lights. With room for five passengers, 15.9 cubic feet of cargo space and a tight 32.2-foot turning circle, the all-new Toyota Yaris Hatchback is tailor-made for urban adventures. What’s New for the 2020 Toyota Yaris Hatchback Design? A longer, more athletic platform will make the 2020 Toyota Yaris Hatchback near Bangor, ME a fan favorite when it arrives. Armed with an affordable price and an impressive list of standard features, the 2020 Toyota Yaris Hatchback promises incredible value at every turn. A 7-inch Toyota Entune™ 3.0 touchscreen infotainment system is standard and provides one-touch access to Apple CarPlay, Android Auto and Bluetooth. Equipped with a Low-Speed Pre-Collision Safety System and a rearview camera, the Yaris Hatchback promises unrivaled safety at an affordable price. Toyota Yaris Hatchback LE editions come standard with 16-inch alloy wheels, body-color side mirrors, a chrome tailpipe, power side mirrors, LED turn signals, a Toyota Smart Key System with Push-Button Start, chrome door handles and a first aid kit. With an upgrade to the Yaris Hatchback XLE, drivers will enjoy a Toyota SofTex® interior, automatic climate control, rain-sensing windshield wipers, automatic LED headlights and a leather-trimmed steering wheel. Armed with a 106-horsepower 1.5-liter inline four-cylinder engine, the 2020 Toyota Yaris Hatchback promises an exciting and fuel-efficient drive. Married to a six-speed automatic transmission, the Toyota Yaris Hatchback is expected to earn an EPA-estimated 40 mpg on the highway. With a driver-selectable Sport Mode, the Yaris Hatchback will enhance acceleration to deliver even more thrills. Visit Downeast Toyota today to learn more about the all-new 2020 Toyota Yaris Hatchback!